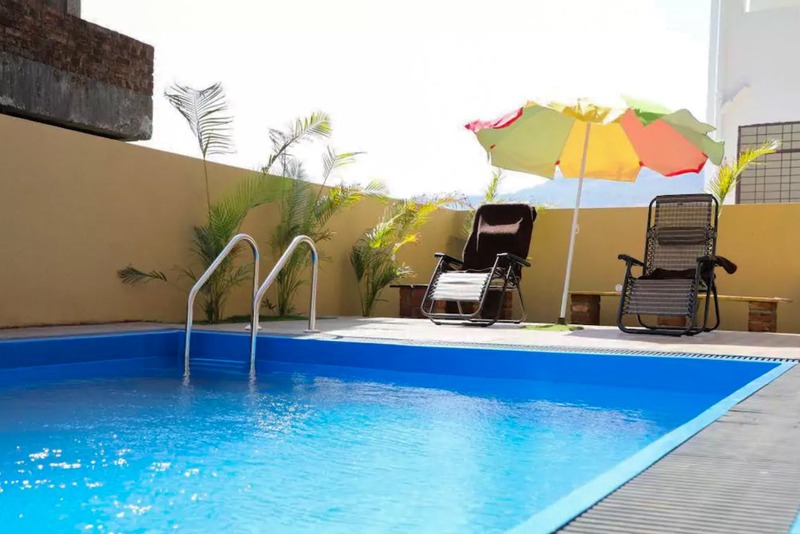 There’s a gorgeous bungalow called Malavi Villa, close to Lonavala, where you can spend some quiet time experiencing the monsoons in all their glory with friends and family. This 3 BHK luxury villa has enough and more to keep you going – with a private swimming pool (that’s lit up at night), to a private garden area where you can sit and sip on your favourite beverage and even provision for a bonfire, in case you’re in the mood for it. The décor is sleek and minimalist, making you love the place even more (they have bunk beds and a rocking chair). If you’re a group of 10 people, the price comes to about INR 2,500 per person per night. We think it’s great because the villa is located very close to the market and you can explore the Kune waterfalls that aren’t too far away. They provide breakfast in the package as well, and in case you want to cook your own meal, they also have a cook who can help.